AFCO Heating & Air Conditioning has provided 24-hour heating and air conditioning repair and installation on Staten Island since 2000. We offer our services to residential and commercial customers, and our experienced team can handle all types of heating repairs. When you’re in need of a dependable and highly skilled HVAC company in Staten Island, the team at AFCO Heating & Air Conditioning is here to help. As trusted HVAC professionals with more than 25 years of experience, we’re able to provide our residential and commercial customers with comprehensive, efficient services of the highest quality. In addition to heating and air conditioning repair and installation, we also offer plumbing services any time, day or night. Licensed by the state of New York, as well as bonded and insured for your protection, we’re a company you can trust to handle any HVAC problem. 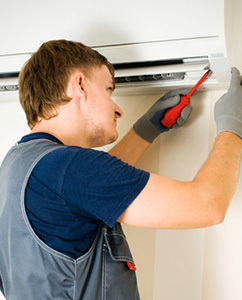 We offer highly professional, dependable HVAC and plumbing repairs and installation. We’re licensed, bonded and insured, so you can rest easy knowing we’re on the job. We proudly offer 24-hour emergency services so we can help you when you need it. Our rates are competitive and we provide free estimates. "I used AFCO Heating & Air Conditioning this year for a routine check up of my heating system. They were on time for the appointment, and ver..."
"Frank from AFCO Heating & Air Conditioning just installed my hot water heater. He was professional, competitively priced, neat, and did a cl..."